Autumn is my favourite season of the year, it's all about layering and being super cozy! 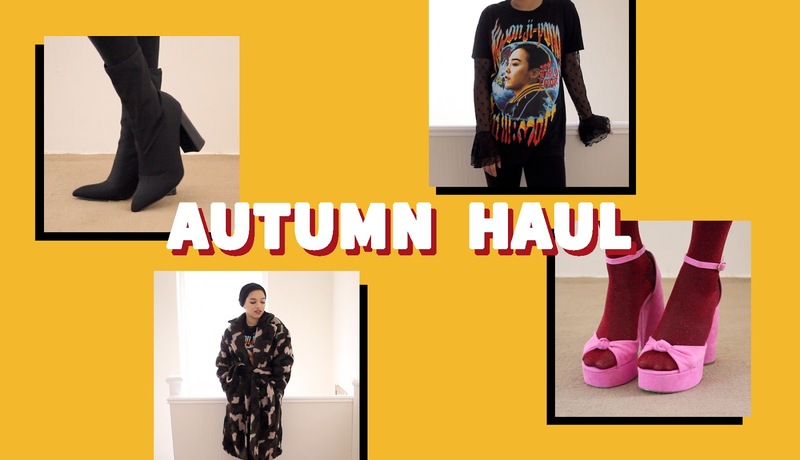 In this haul I'll be sharing all my new Autumn pieces so far. Click here or on the video below to see what I got recently! Hope you guys enjoyed this video! Hi Saima, I really enjoyed your haul! I was hoping you could link to the earrings you're wearing in the video and the black long sleeved top you had on under your GD t-shirt? Love your sense of style btw! Her collection of AUTUMN haul is really superb. She has good dressing sense which we can see in different posts of this website. She is very active to publish the post which is good for her website. Well! I try to find australianwritings writing service but i'm happy to come this website which is really awesome and my wife will happy to have it. I SPENT £250 ON YESSTYLE | HUGE KOREAN FASHION HAUL! © Saima Chowdhury. Powered by Blogger. © SAIMA CHOWDHURY | All rights reserved.